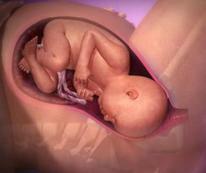 The pushing stage (also known as the second stage of labor) ranges from 20 minutes to 2 hours long. After you have completely dilated, you often will get a little rest with no contractions. Pushing contractions are around 60 seconds long and you will have longer breaks between contractions, often 5-10 minutes. Your mood and attitude will also completely shift. Even if you have been in labor for hours and felt completely exhausted not ten minutes ago, you will get a second wind. It will be as if you just started. 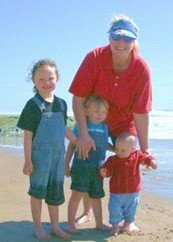 Your desire to complete the task and hold your baby will be overwhelming. Little things like modesty will not enter your mind. 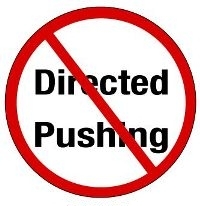 When you do have a pushing stage contraction it will feel completely different. Instead of a cramping feeling like you get when you have your period, contractions will feel more like the expulsive feeling you get when you are trying to hold a bowel movement in. If you don’t immediately feel an overwhelming need to bear down, then it is a good time for you to get up and move around a little until you do feel the explosive need to push. A great way to help your baby get in position for delivery is to squat thru a few contractions to help your baby descend in your pelvis. By descending, your baby will cause you to feel an overwhelming need to push. Squatting is also a great position to assume if you have been pushing for a while and are getting tired. The pushing stage really does feel like having a huge bowel movement. Don’t worry about actually pooping either. Some women do poop a tiny bit, but that is normal. Don’t hold your baby in for fear of pooping! Be sure to take breaths when you need them during pushing contractions to maintain your (and your baby’s) oxygen levels. At the end of the pushing stage you get a wonderful reward! You get to see your baby for the first time. We recommend that you take two deep abdominal breaths as a pushing stage contraction comes on. Then as the contraction intensifies, put your chin to your chest and push for as long as is comfortable. Then raise your head, take another deep breath, put your chin back down to your chest and push some more. Repeat taking a breath any time you need one until the contraction eases off. Most women pushing this way will take 3-5 breaths during a pushing contraction. As each pushing contraction eases off you should drink some water and relax completely until the next contraction. Your labor assistant should help you get into and support you in each position you feel like pushing in. They should encourage you to choose the best position. They should let others in the room know that you don’t want cheerleading and that you plan to push naturally. Your labor assistant should encourage you, should give you regular sips of water and remind you to hold your breath only as long as is comfortable while you are pushing. As your baby’s head crowns you may feel a burning sensation. This is caused by the stretching of your skin. When you feel this, it is a good idea to back off a little and give your body time to adjust. This will prevent any unnecessary tearing. You may want to have your birth assistant remind you to touch your baby’s head at this stage. Usually once the head is out, your baby will be born in the next contraction or two. When your baby comes out it is wonderful if your husband can “catch her” and place your brand new baby on your chest skin to skin. Put a blanket or towel over the two of you so baby stays warm. Let her rest and relax a little until she is ready to start looking around and nursing. It is ideal if you can have at least 45 minutes of uninterrupted bonding time together. While you are bonding, it is best if the umbilical cord is not cut right away, certainly not until after it has stopped pulsing. 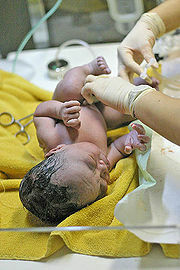 During this time, your baby will be eliminating wastes thru the cord (baby jaundice can be caused by early clamping). You also give your baby time to adjust to breathing with his or her lungs while still receiving plenty of oxygen. The cord will continue to provide oxygen to your baby for several minutes after birth or until it stops pulsing. 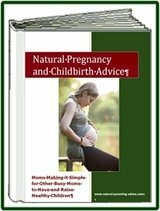 For detailed information about third stage labor, read delivery of the placenta. Hopefully you have documented all of your preferences for labor, delivery and newborn procedures in your birth plan.